A slightly useful 'help' page for staff: The TEACHERS tab on on the technology page and you have to enter 'staff' as a password. There are some little help videos I have made, and other things that might be helpful to you. There is a teacher server on which you can save files. To get to it from your computer, click on GO...Connect to server... type 10.100.0.3 You should have a login and password. If not, let me know. First off, there are a couple of ways that teachers get their email. mail.google.com/a/stjosephwsp.org and you know your id and password. 2. If you want to use the mail icon on the mac, we need to do a simple setup on your computer. You can also do a combination of both methods, but I don't necessarily recommend it..at least not for any length of time. It can become confusing. If you are ambivalent as to which to use, I recommend going with the google link. There is one less layer that can get screwed up, hence fewer potential problems. Regarding addresses, that depends on what method you choose I think. Using gmail will definitely start remembering the emails you use, and will 'fill in' for you when it can. I think we can also import addresses into google, but I'm not sure. If you're using the mac as your email client, that will start remembering email addresses too. I do not know of a single file of all of the email addresses that we use. If you send to jh@stjosephwsp.org all of the JH teachers and specials will get it. staff@stjosephwsp.org will get to the entire staff. There are a couple of other groups set up, but I can't think of them this second. Most (all?) 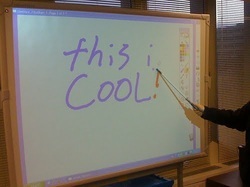 of the teachers have teacher websites. I think that Jane requires this. To get a feel for what these look like, take a look at http://stjosephwsp.org/staff.aspx and click on some sites. Teachers are responsible for generating their sites and keeping them updated. You should actually talk to a real teacher to see what is expected of you on a weekly basis anyway.. think homework, newsletters, contact info, etc. Most teachers use a free site to set up their websites. www.weebly.com is what they use, and you can set up an actual teacher account on it. I am very familiar with weekly and would be happy to show you the ropes. 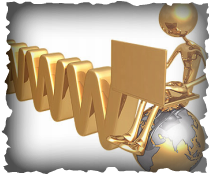 It is a fairly easy tool that creates good looking sites in no time. There are several laser printers around the building. In my lab, there is a teacher B&W as well as a teacher COLOR. The Junior high has a laser printer (was in Lisa's room last year, but may have been moved?). There is a B&W in the teacher lounge, and Katie Schultz's room..also in Debbie Dovenmuehler's room I think. A major effort of mine this coming week will be to make sure everyone is printing where they want, so let me know if you need assistance here. We have been discouraging inkjet printer use --trying to just go with the lasers. I have a tech expert come in every Tuesday morning for 4 hours or so. I save the hard stuff for him, and easy stuff too if I'm swamped. He is very knowledgeable. To find good websites that are very Promethean friendly, go to google.com and under advanced search, choose 'Shockwave Flash' for file type. Who's Your Friend on the Internet? Scratch Tutorial About 15 minutes but very worthwhile.